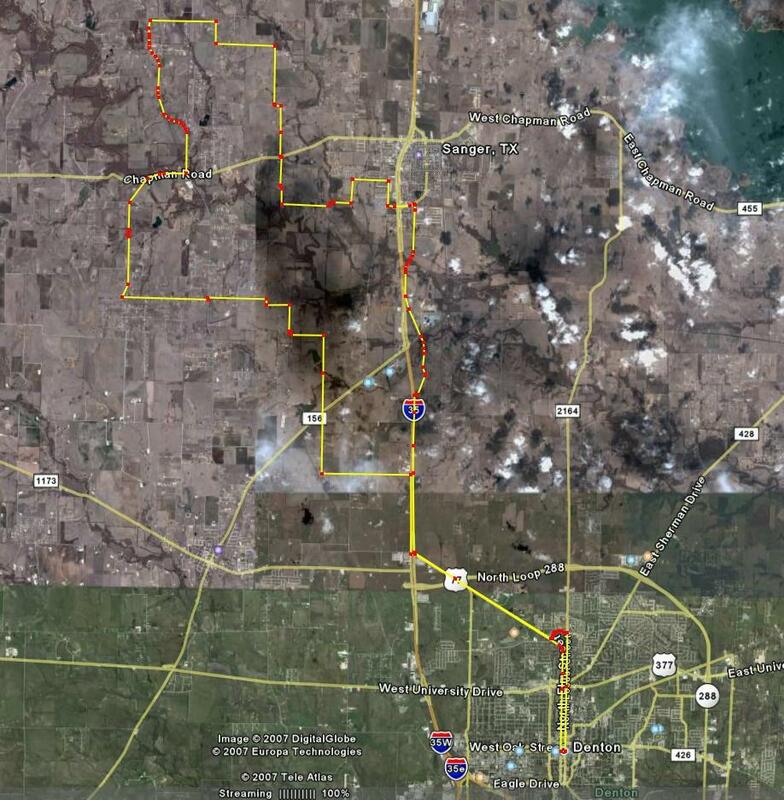 The idea is to string together a few of the roads explored in short out-and-back trips and create larger loops. Today was an example of stringing together a few backroads into a nice single 40-mile loop. It’s a nice round number and can be done with minimal fitness…just ask me. The upper left corner is the homestead. The lower right corner is the Denton County Courthouse square.